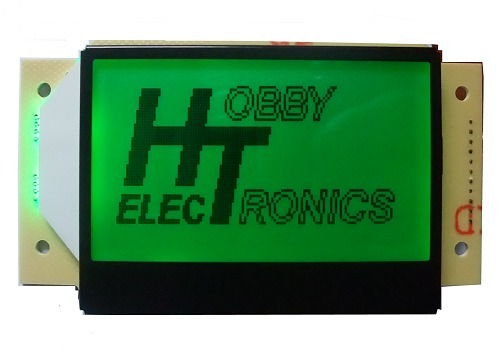 When we added these screens to our product lineup we trawled the internet to find a program to convert a 2 colour BMP file into the hex character array that can be used in a program to display the graphic. Whilst there are a few programs out there (free and commercial) we could not find any that created the hex characters in the correct format. Many created each block of 8x8 pixels upside down. So, as we could not find such a program, we wrote one using Visual Basic Studio 2010. It's nothing fancy, but it does the job, and is called simply BMP-LCD (not to be confused with the dos program BMP2LCD). And its FREE! It requires no installation, just extract it from the zip file, store it somewhere, and run it. Firstly, before you can convert a bmp you need to create one. 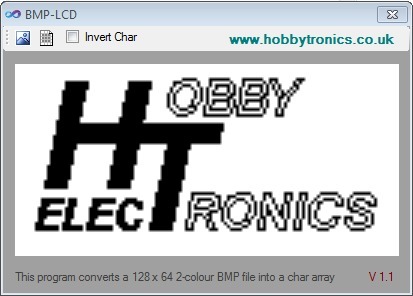 The BMP-LCD program doesn't do this, you will need to create a file in your own graphics program. The file should be 128 pixels by 64 pixels and 2 colours (black and white) only. 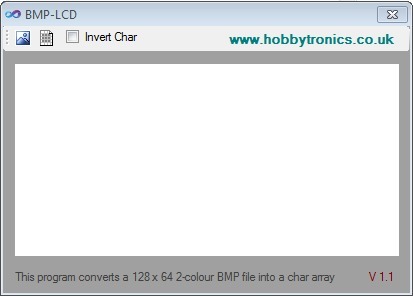 Once you have created your grahic file, run the BMP-LCD program. Click on the Load Graphic button, and load up your bmp graphics file. Here is the one we created. It is shown at 3x actual size. There should be 8 sections (they dont need to be split up, its just easier to check). 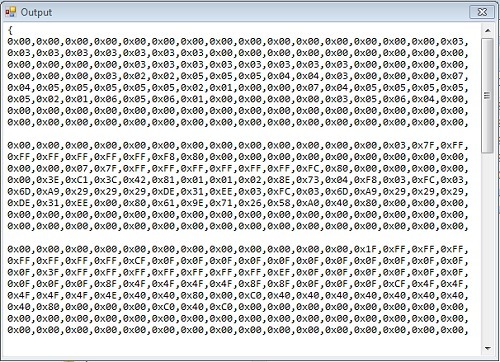 Simply replace their hex codes with the newly generated ones and save the file.